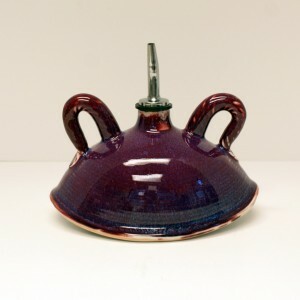 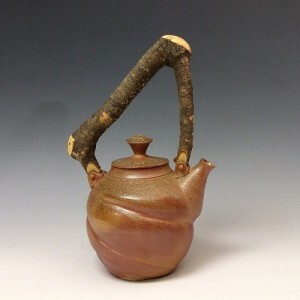 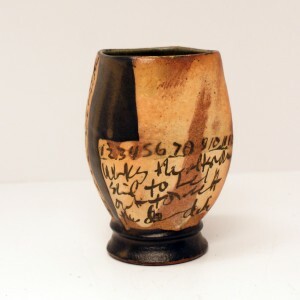 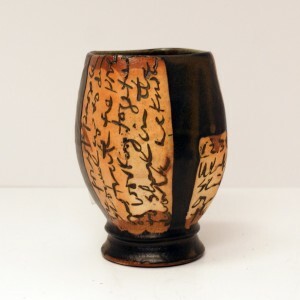 Cathy and David Robinson have been creating functional works of art for more than 35 years. 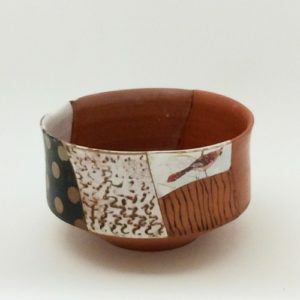 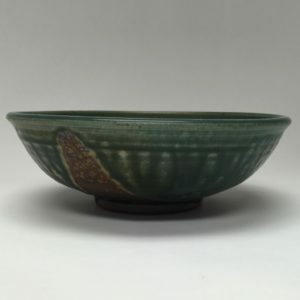 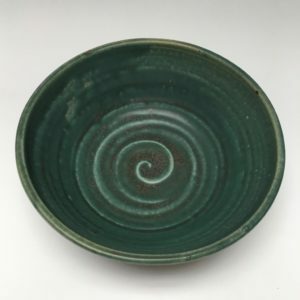 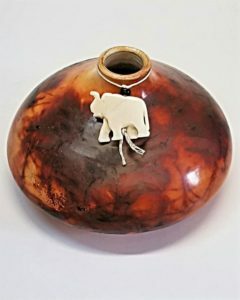 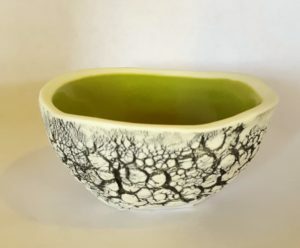 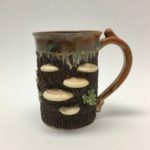 Reminiscent of a landscape, each glaze, inspired by nature, combines artistry, imagination and skill. 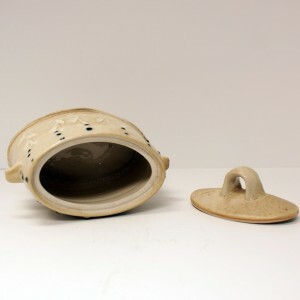 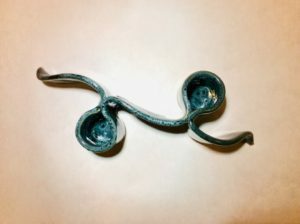 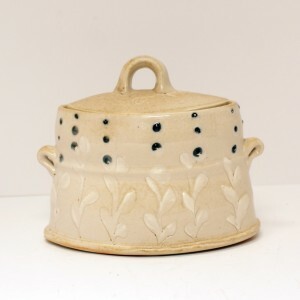 The hand-thrown pieces are lead free and safe for the microwave & dishwasher. 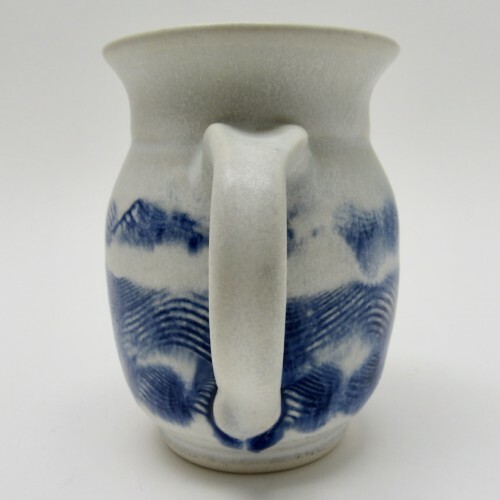 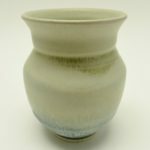 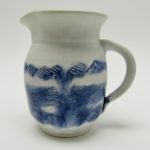 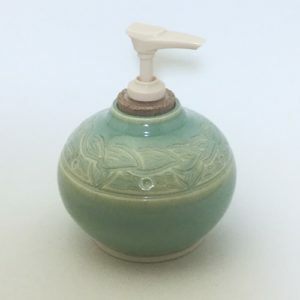 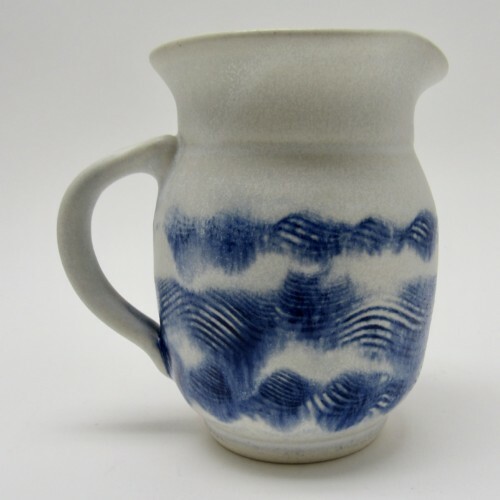 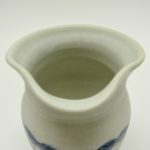 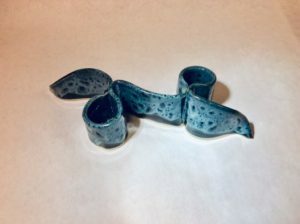 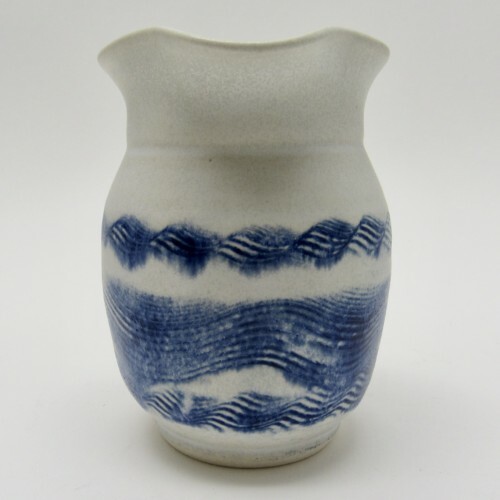 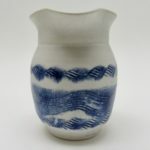 Dave and Cathy Robinson are known for glazing that give the sense of an abstract landscape in each piece; this pitcher has a matte glaze of white with waves of blue; 5″ tall, 3 3/4″ opening to edge of spout.